To any other bloggers with a messy room instead of a clean white room, this is my shout-out to you! Today I did the easiest thing in the world and wore a dress. I ironed a vintage patterned house dress and felt very comfortable until it was time to leave the house and I felt it was all too much and too affected and switched to this, which is more modern. 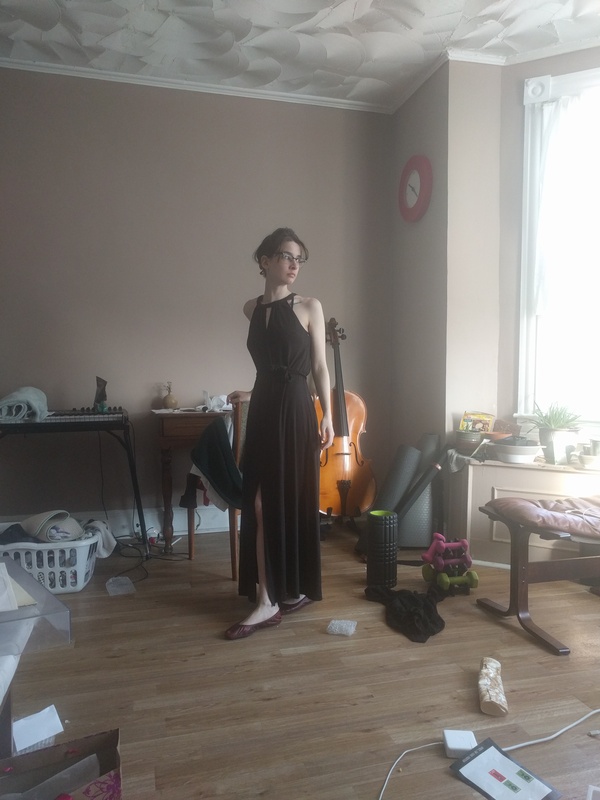 I got it at the clothing swap at my school last fall and haven’t been able to wear it all winter, since the slit makes it impossible to wear a slip under. I missed it! I’m a teacher and it’s spring break this week. I feel a little like I’m actually able to breathe and little panicked about letting it slip away, frittering it away catching up on chores I never do instead of relaxing. But, at least I feel like a human instead of like a robot who prepares for work, goes to work and then goes into low power mode.